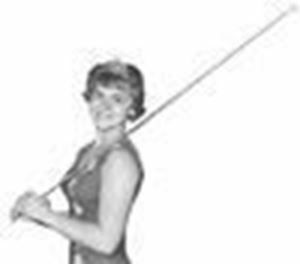 Years ago ABC's super-long Giant Baton was popular with show twirlers. A whopping 49 inches long! It can be used in a number of effective ways - winning applause, drawing smiles and laughter, causing wonderment. It has a lasting effect - often becoming a topic of conversation.